Brilliant site! Now i'm getting so many applications coming back! Thankyou, Casting Now! Aspiring actors need to know more about acting auditions to make the most of opportunities in the entertainment business. The important question that comes up here is how does one know more about acting jobs in London or any place else? There are quite a few ways to do this and in this article, you would get to know more about the same. You can send your head shot to as many acting agencies as you are aware of. Such agencies have knowledge of all the acting assignments which are currently available in your area, and if they think you fit the bill, they would definitely contact you. You can check out the local newspapers for relevant classified advertisements. Being an actor is job like any other and if someone wants to hire people, they would definitely put an advertisement in a paper. You could also contact your local playhouse or theatres to know whether they are in need of actors and are in the process of holding auditions for the same. The easiest way to know more about acting auditions and casting calls is to take the help of some special online providers. Quite a few websites have come up in recent times, and they are acting as a platform where people wanting to enter the entertainment business can get in touch with the casting agencies and production houses in a particular geographic locale. Some of these sites are run by ex casting experts, TV professionals, and people in the entertainment business having contacts and inside knowledge of the industry. For a reasonable monthly fee, aspiring actors, presenters, models, dancers, singers, and musicians can place their profiles in these sites and also apply to the latest jobs which are featured in the web pages. 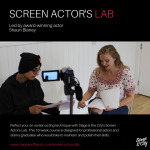 London casting agencies, to take a specific case in point, browsing through these sites can contact the people who have uploaded their profiles for different types of acting assignments. Being a member of any such site is a great way to get into the business of acting. Before taking up acting auditions, the individuals would need to prepare well for the same. After all, opportunity does not come knocking at your door often, and as and when you get the chance, you need to be in a position to make the most of the same. You could take up acting classes to brush your acting skills; this way, you would also be able to keep up with all the new techniques in acting. To know more about acting auditions, London acting agencies, and casting agents London, you can visit www.castingnow.co.uk.